The streets of Ubud teem with culture. A great way to see the town, surrounding artistic villages, and working rice paddies is on bicycle. Start at Monkey Forest and visit with the infamous residents -- crab-eating macaques. 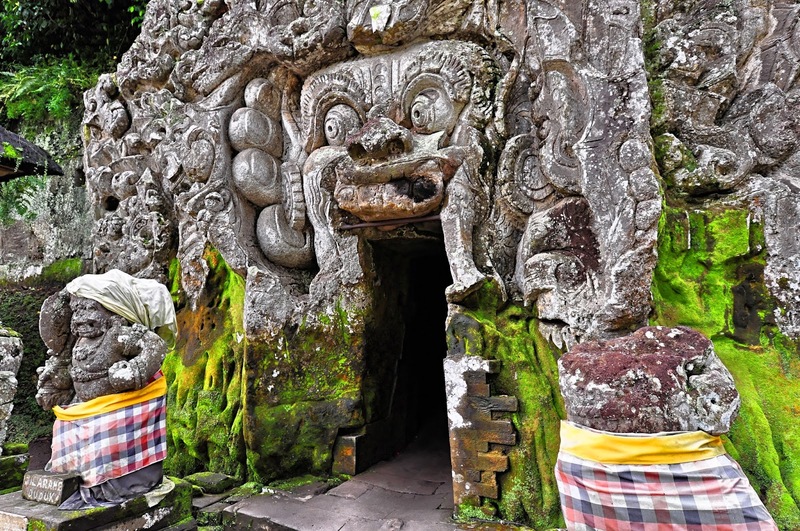 Mid-day, head over to Goa Gajah, one of Bali's most unique holy places. To end your day, ride to the village of Petulu. A massive nightly Heron migration is said to be the manifestation of spirits felled in a communist cleansing back in the 1960s. The birds began showing up exactly one week after an especially brutal massacre and have roosted in Petulu every night since. The scene is holy. If the heart of Bali's culture beats in Ubud, then its hard charging Bintang gripping extremities flail about in Kuta. 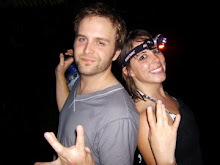 The scene is all here: bikinis on the beach, clubs that go all night, expat bars, hip travel cognoscenti, and intoxicated Australian high fivers. Depending on the experience you expect to derive from travel, Kuta will either be a place to remember or a place to forget. Perhaps, even a place to remember forgetting. Either way, Kuta does surf lessons brilliantly. Since the Kuta wave breaks over sand rather than coral, new riders do not exit the water grasping for gauze. This provides a perfect arrangement for wide-eyed noobs to pick up the surf game. After a day spent learning your way around a barrel, quench your thirst with fresh fruit drinks and a sunset at KuDeTa. There's a saying that God lives in the Himalayas. I have a feeling he vacations in Bali. The sea-draped temple of Tanah Lot rises out of the surf like a hazy dream along Bali's southwest coast. Beneath the waves that crash along the dark temple walls, a pride of banded sea kraits patrol the waters. The snakes guard the temple from evil spirits and harm. (Or so I've been told.) Tanah Lot is many things: magical, stunning, unlikely, romantic, and strange. It has a plucked from a dream aesthetic that allows you to believe the lore and have fun with it. A local told me about those sea kraits, and I believed him because the place looks so unreal. It seems to exist on dreamlike terms. Catching it at sunset frames the temple at its most beautiful and surreal. In the 1930's, a German artist taught the Balinese a peculiar performance called the Kecak. The dance has no instruments, just vocal chords, about 100 of them. 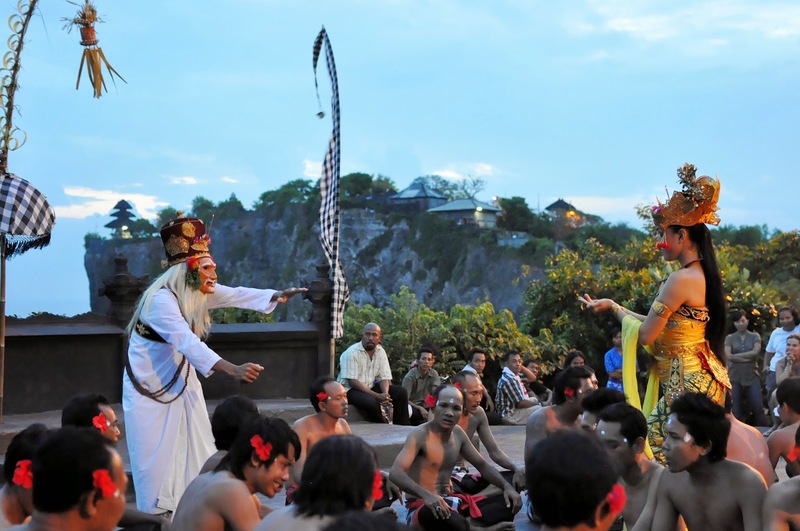 They chant generously and costumed performers dance and act out the Ramayana. While the 20th century German impetus may sound slightly inauthentic, you will hardly care about details as the sun slowly sets beyond the cliffs of Ulu Watu and you get lost in the chant. There is also lots of fire. The drive is over 3 hours from south Bali, so a day trip is way too cumbersome. A great way to experience Menjangan is too stay in nearby Pemuteran for a few nights. The Amertha in Pemuteran grazes perfection. Its secluded location framed by towering mountains and gorgeous villas with private pools is well worth the modest splurge. The amazing house reef full of critters just meters offshore will almost talk you out of visiting Menjangan. Don't let it. Babi Guling, or suckling pig, has made a name for itself as Bali's main course. Many roadside warungs serve the oinkers, but Ibu Oka has garnered some serious praise for its delectable hogs. Anthony Bourdain called it the best. We are in agreement on this point. Just go there, order a combo plate, and find a place in the crowds to hunker down and grub. It costs about 2.50 for a plate, which is a small penance for something with a "best" moniker. Wash it all down with an ice cold fruit drink. It is hard to miss Ibu Oka in the heart of Ubud near Ubud Market. Just ask around. Be sure to arrive early for lunch; 11 am is early enough. They only prepare a few beasts each day, and once the food is gone... they shut down. You will get drenched, and you will love it. Rafting through the heart of Bali thrills the heart and frightens the mind. The rapids shoot you through Bali's lush interior like a drunken torpedo. The voyage zips passed rice paddies with working farmers and kids flying kites. It feels like traveling through a privileged backstage portion of Bali, and that is a great feeling. Water Buffaloes serve many purposes throughout Southeast Asia. They are agricultural tractors, beasts of burden, milk producers, a source of food, and...racing machines. In western Bali, on Sundays, these beasts line up and drag jockeyed chariots around an oval course like cans behind a car. The brightly accessorized water buffaloes grunt around the dusty track while local spectators shout their Bahasa encouragements. Bali is an ideal place to enjoy various water sports activities including white water rafting, snorkelling, surfing and sailing. This is the first time I journeyed to this blog. really this is awesome work with the blog. It is very large large delight to get it as I got gigantic assists right here. Bali is a great point for visit. i join us west coast bus tours to go there with my friends. Its beaches are very beautiful and if you plan to go there you get much of a chance to enjoy deserted white sand and clear blue water beaches. It have very best museum and cool attractions for visit. We find it great to understand how it all has to be working so far west coast tour from san francisco would be very helpful with the kind of uses something has and also for me seeing it can be kept reasonably working because of the way it all can be working.